Today, February 14th, we notified the ROS-I users Google Group, about an upcoming transition to Discourse on March 1. I have included the letter below that was provided to the Google Group members. We are excited to be part of the ecosystem over at Discourse and hope that it drives improved collaboration, synergy, and interaction with the broader ROS Community. We look forward to this transition, but of course with any change, there can be problems. Please feel free to comment below, or reach out directly if you have questions and/or concerns. “In recent years there has been a migration, related to ROS/ROS-related discussions, Q&A, and collaboration to ROS Discourse (discourse.ros.org). At ROS-Industrial we see this year as the time to move over to Discourse as well, and retire the ROS-I Google Group, swri-ros-pkg-dev. This obviously does not come without some consideration and a migration plan. The target date for the transition is March 1. The content that is currently within the forum over at the Google Group will be kept available for reference, as read-only, and inquiries to swri-ros-pkg will be met with an automatic reply to direct inquiries to the ROS-Industrial Discourse category. For users the move to Discourse should be quite convenient and efficient. Accounts from GitHub, or Google, may be used, so no new accounts will be needed in those cases. We hope that this change is welcomed as it drives synergy with the broader ROS community, and allows for a true “one stop” in discussion and collaboration on all things ROS. 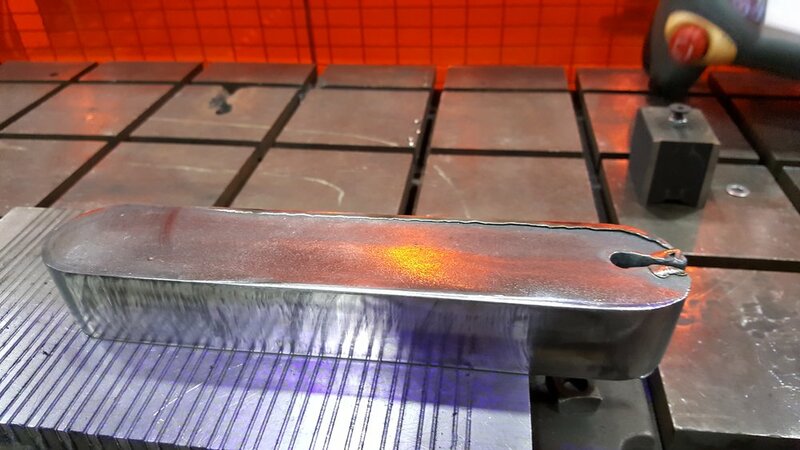 To start there will be an ‘ROS-Industrial’ category, with subcategories developed when traffic merits the creation of subcategories. 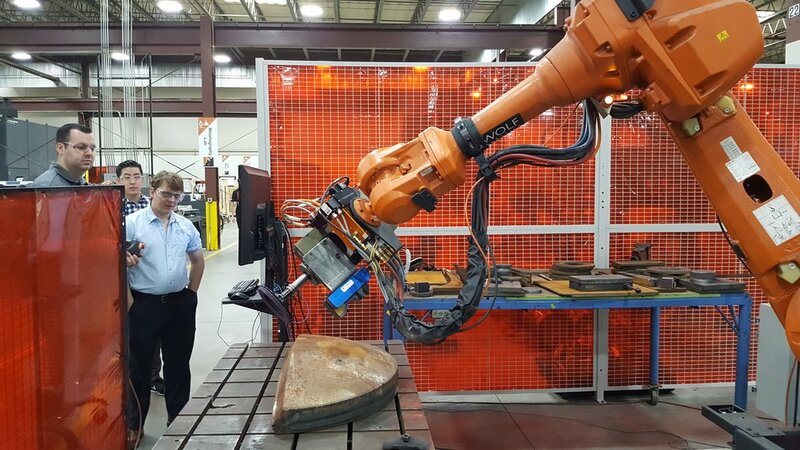 On April 7, the ROS-Industrial Consortium Americas hosted its annual meeting in Chicago following on the heels of the Automate show. 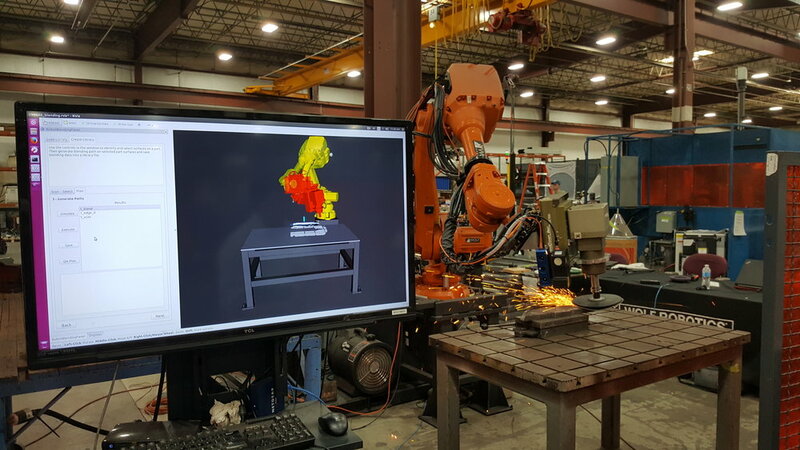 The meeting brought together more than 60 people from across the industrial robotics industry to learn about, discuss, and plan for the future of open source software for manufacturing automation. The Consortium is now a world-wide organization led by SwRI in the Americas, Fraunhofer IPA in Europe, and A*STAR ARTC in the Asia Pacific region. Global membership reached 50 members! 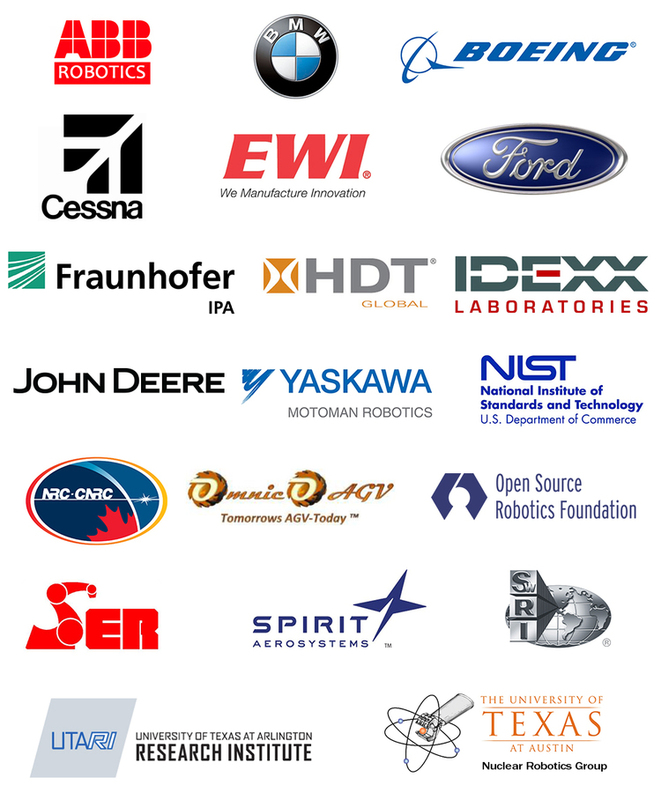 The ROS-I Consortium Americas meeting brought together representatives from across industry including end users, system integrators, robot OEMs, automation equipment OEMs, and researchers. 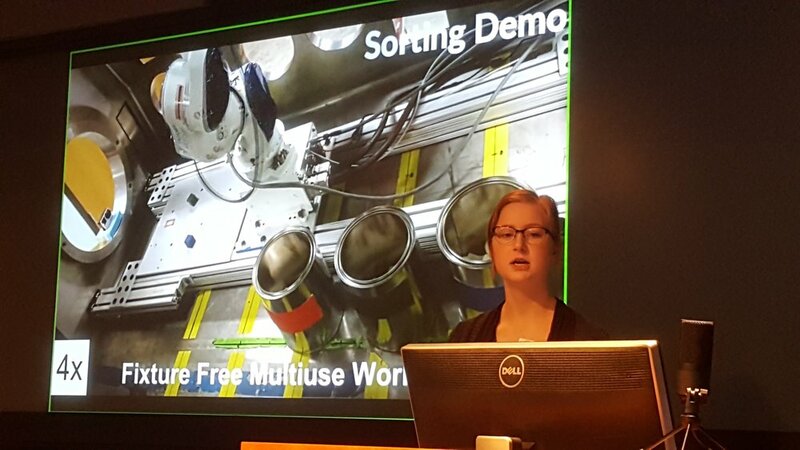 The Open Source Robotics Foundation was represented by Tully Foote who took questions during an open mic session, and also led a round table roadmapping discussion about ROS/ROS 2 core. Matthew Robinson from Caterpillar gave an inspiring keynote presentation on the topic of Flexible Automation for Manufacturing in Heavy Industries. The ROS-I Consortium is global! Each regional program manager presented an update about the progress and future plans for his/her region. Left to right: Min Ling Chan from RIC-Asia Pacific, Dr. Mirko Bordignon from RIC-Europe, and Paul Hvass from RIC-Americas. During the afternoon session, Consortium members organized into groups to discuss specific technical roadmapping thrusts. Meeting attendees also met with Focused Technical Project moderators to talk about one of the five new project topics that were introduced for 2017. To learn more about the ROS-I Consortium, please visit the Join Now page. Click the image above to download a printable flier for the ROS-I Consortium Americas Annual Meeting. Click the image below to read the ROS-Industrial Consortium Americas Annual Newsletter. 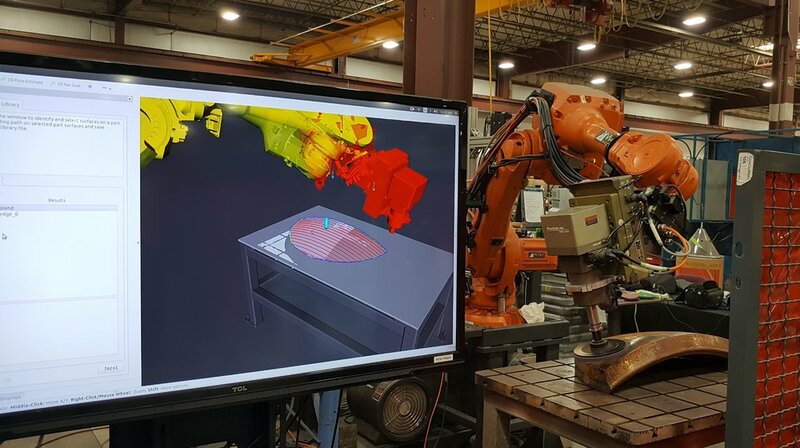 If your organization is not yet a Consortium member, you are missing out on the industrial robotics revolution! Join now. The ROS-Industrial team has been very busy developing new functionality that I am very excited to share with you. We officially released a few ROS-Industrial packages about six months back, and released the final package just a couple of months ago. A brief description of the new features/updates can be found here. 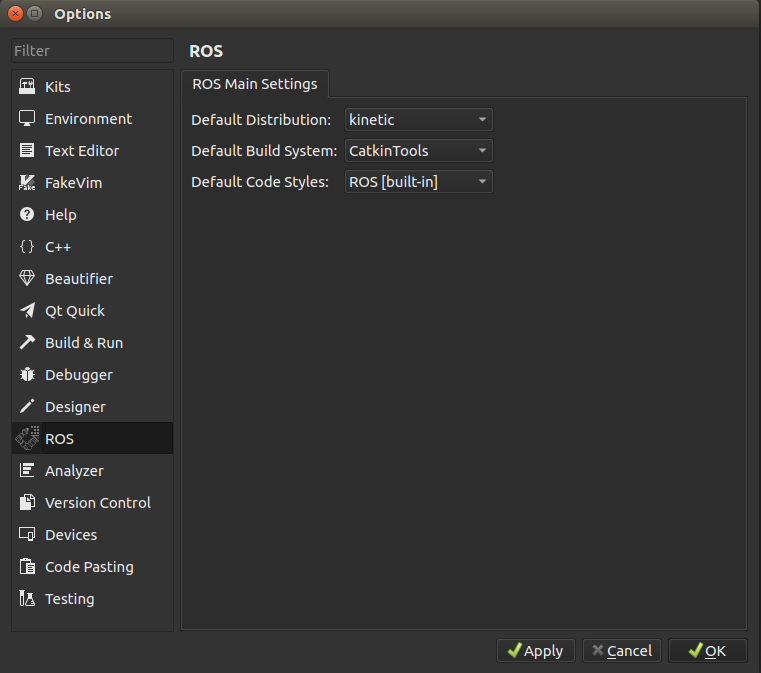 It's now possible to install from debians: sudo apt-get install ros-hydro-industrial-desktop. More detailed instructions can be found here. We typically lag ROS releases to ensure stability, but the switch to catkin really delayed us. It feels like we transitioned to catkin twice, first to get source builds working and then a second time to get debian builds working. Having put the port to catkin behind us, I'm confident we will do better next release. Early ROS-Industrial development was focused on developing robot specific drivers. 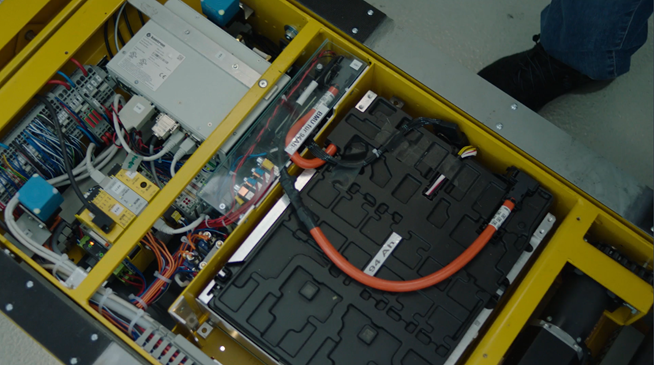 Some of these packages were developed from scratch, such as the Fanuc package, developed by TUDelft and others were acquired as orphaned projects. In order to ensure the continued development and maintenance of these drivers, we are reaching out to the community for help. 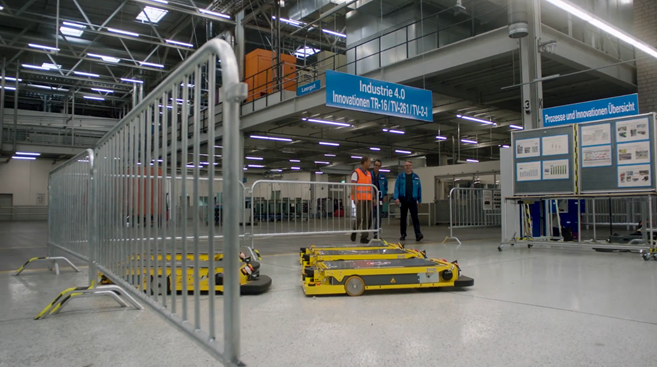 Recently, Fraunhofer IPA has taken ownership of the Universal Robot. We appreciate the help of both TUDelft and IPA. We are actively looking for developers/maintainers for our other driver packages (if you are interested send an email to this developers list). We are participating in the Google Summer of Code (GSoC) under the OSRF umbrella. GSoC pays students to perform open source development. 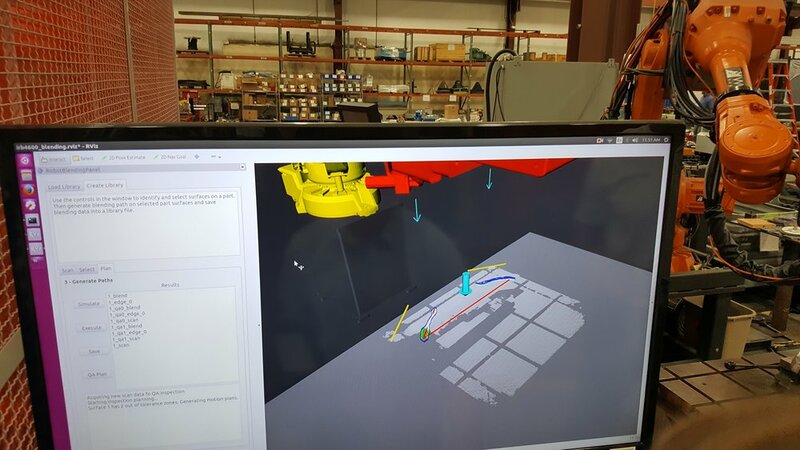 ROS-Industrial has two projects: a cartesian planner GUI plugin for MoveIt (repo) and an intuitive 3D interface for industrial painting (repo). We are very excited to be part of this awesome program and are looking forward to what our students come up with. Stay tuned for posts from our students. It's no secret that ROS-Industrial is a community effort. I'm very proud to say that ROS-Industrial receives contributions from some of the best academic, research, and commercial organizations from around the world. Our current stats have us at 24 contributors in the last year and that's not even counting those who participate in code reviews and submit issues. I can honestly say I've worked with some of the greatest developers in my career through the ROS-Industrial program. The 2nd ROS-Industrial Community Forum webinar was held on April 28, hosted by Alexander Bubeck of Fraunhofer IPA. 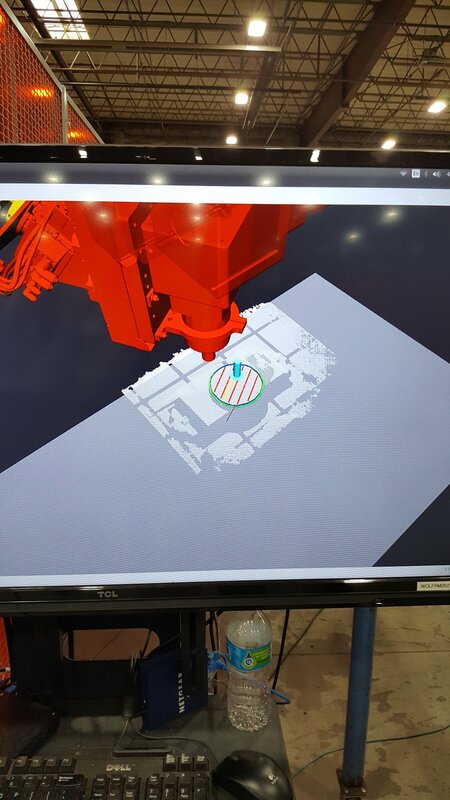 The featured topic of the forum was the new ROS/ROS-I interface to Comau robot controllers. That topic was covered in two presentations, first by Fabrizio Romanelli of Comau, and then also by Elisa Tosello from the University of Padua, Intelligent Autonomous Systems Lab. ROS-Industrial Community Forums are open to the broad ROS-Industrial community and foster the dissemination of information about new ROS-Industrial capabilities and best practices. If you are interested in presenting at the next Forum, please contact us. ROS-Industrial Consortium Americas Celebrates 20 Members! It is our pleasure to announce that the ROS-Industrial Consortium Americas is officially 20 members strong! 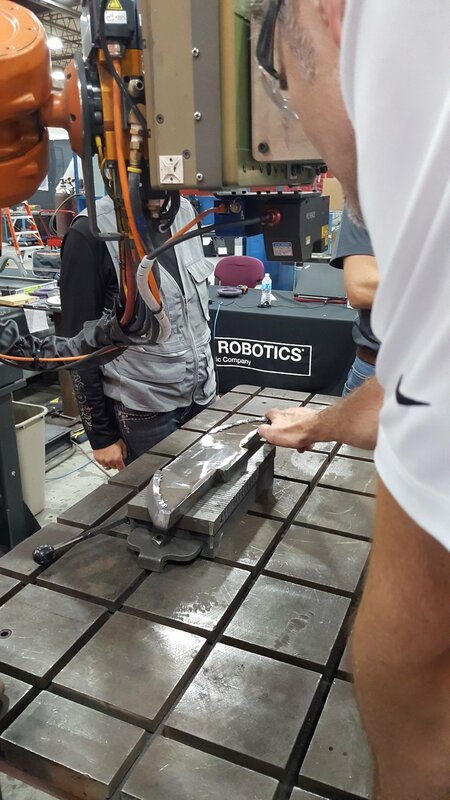 Our brief history: The ROS-Industrial Open Source project began as the collaborative endeavor of Yaskawa Motoman Robotics, Southwest Research Institute, and Willow Garage to support the use of ROS for industrial automation. The software repository, originally hosted on Google Code, and now on GitHub, was founded by Shaun Edwards (SwRI) in January 2012. Led by SwRI, the ROS-Industrial Consortium Americas launched in March 2013. As you might have guessed from the name, there is also a ROS-I Consortium Europe, led by Fraunhofer IPA in Stutgart, Germany. The Consortium exists to support the ROS-Industrial community by providing training, technical support, and setting the roadmap for ROS-I. We are grateful to our members for their support and enthusiasm! If you are interested in learning more about the latest Focused Technical Projects, or about the Consortium in general, please contact us.